Mark J. and Margaret M. Schuster established the Double M Schuster Farm in April of 1983. We began with 20 cows that we raised from young calves. For the next 20 years we milked as many as 70 cows in our tie-stall barn. We raised our children on this farm, who were actively involved on a daily basis until we sold the cows in 2003. In 2007 a tornado strength wind destroyed the roof. The roof was replaced but the barn continued to remain idle. On September 21, 2013 our oldest daughter, Meghan was engaged to Dennis Stanley. Meghan said it was her wish to have her wedding reception on the family farm and from there the family farm took on a new life and meaning for all of us. 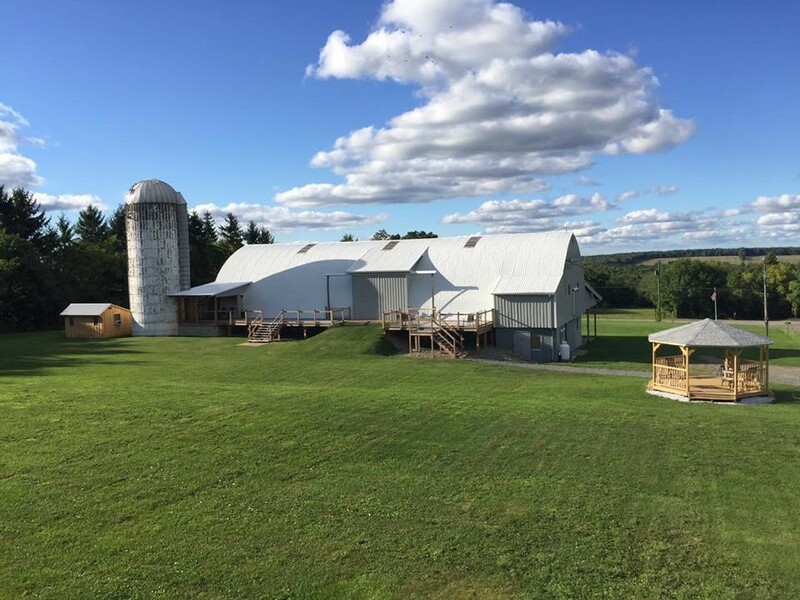 It would now be known as the Double M Schuster Barn, a wedding and event venue. It’s a place where the Schuster’s and Stanley’s can help to make every couple's wedding the fairytale wedding they dream of or a rustic event hall for other gatherings.